Thank you for partnering with Compassion to improve the lives of children at the Anomabo Child Development Center in Ghana. Your generous gift will provide new bathroom facilities and hygiene education that will safeguard the health of thousands of children in the coming years, taking them a crucial step further on their journey out of poverty. Every day in the developing world, more than 800 children die because they do not have access to adequate sanitation or safe water. Thousands more fall ill, miss school and suffer needlessly. In particular, open defecation and poor handwashing habits put children at risk of waterborne illnesses such as cholera, diarrhea and bacterial meningitis. Providing access to improved sanitation facilities and hygiene education is fundamental to saving children’s lives and releasing them from poverty. Compassion’s WaSH interventions have an immediate and long-lasting impact, making children stronger, healthier and better equipped to succeed in life. • Globally, 2.3 billion people lack access to adequate sanitation facilities, and nearly 1 billion are forced to defecate in the open. • 85 percent of Ghanaians lack access to adequate sanitation. • 16 percent of rural Ghanaians do not have a reliable source of safe drinking water. • Nearly one in four Ghanaians live below the poverty line. • 66 is the average life expectancy for Ghanaians. In Ghana, access to simple and basic sanitation facilities has been a challenge for many households. According to WaterAid, 23 million people don’t have access to improved sanitation in Ghana. As a result, about 4,000 children under five years die annually from poor water and sanitation. Anomabo Child Development Center, located in a fishing community in the central region of Ghana, is no exception. The registered children, workers and volunteers at this center have been forced to resort to unhygienic and unapproved methods when it comes to attending to nature’s call. The existing, dilapidated public toilets are not child-friendly and do not provide separate facilities for boys and girls, putting girls at further risk. As a result, some children are now adopting open defecation. The leadership of the church are concerned that children have picked up this unhealthy habit and know that if left unchecked, this will pollute the environment and could create fertile grounds for the spread of related diseases like cholera. Also, although these beneficiaries have been taught the importance of proper hand washing after using the toilet and or playing on the field, the current handwashing facility provided is inadequate for the number of children. Moreover, the church is unable to provide a bigger reservoir that can store water for use by all the children during curriculum meeting days. This situation is posing as a threat to the health and safety of the children especially, as well as the workers and volunteers. To address this urgent and critical need, the church leadership have secured land where an adequate toilet facility can be constructed. When finished, this construction project will provide children and staff members at the center with an eight-seater toilet, two shower rooms, a water tank and four handwashing sinks. Additionally, children and adults will be educated on safe hygiene and sanitation practices. With your help, leadership at the center can execute their strategy for completing this project. Compassion International Child Development Centers TG203, TG208, & TG671. Your gift helped transform the well-being and health of 915 Compassion-assisted children, their families, and their caregivers. The funds you donated, combined with the gifts of other caring friends, enabled the three church-based Compassion centers these children attend, located northwest of the capital city of Lomé, to drill deep borehole wells. More importantly, you provided the children something they have never had before — access to abundant, safe water and the promise it provides of a bright and healthy future! There are a few wells in the communities targeted by this project, but they are far from the Compassion centers, and the lines to collect water are unbearably long. Additionally, for Saturday activities hosted at the center, volunteers prepare by spending all day Friday collecting and hauling water. But even then there is not enough water to meet Saturday’s needs: The children cannot wash their hands before meals or after visiting the toilet, and there is not enough to drink to stay hydrated during the games. Volunteers cooking the children’s meals often run short of water, which also makes properly cleaning the center facilities impossible. Worse still, the water is often unsafe, leading to illness among the children. Recently, the three centers reported 54 cases of waterborne illness, including life-threatening cholera. Diseases also affect children’s school attendance. The staff members have to spend a significant portion of their budget to treat these preventable illnesses — funds that could be better spent on expanded learning and development opportunities for the children. The children’s home situations are another detriment to their health. In most cases their families’ source of water is contaminated and located a significant distance away. The time-consuming, physically taxing job of collecting water often falls to the children, and their caregivers have little understanding of the principles of good hygiene, sanitation and the prevention of waterborne diseases. Thank you for your prayerful consideration of this request. Your contribution will not only help provide the gift of good health and a healthy future for Togolese children in need but will also serve as a tangible and powerful expression of God’s love for them. Community Profile: The Rehoboth Child Development Center is located in Agoè Fiovi, a suburb of the coastal city of Lomé. The climate is hot and humid, and the low, coastal plain has many marshes and lagoons. Common but preventable illnesses include malaria, typhoid, cholera, and diarrhea. More than half the working population is unemployed, and the average monthly family income is U.S. $33. The Rehoboth Child Development Center meets critical needs in the community and serves as a tangible example of God’s love and provision for children and families. 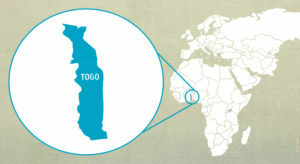 Tangible Outcomes & Benefits for the Community: By partnering with Compassion in Togo, you would be providing 238 registered children at the Rehoboth Child Development Center as well as their caregivers’ access to safe water, hand-washing facilities, and a water storage system. Your gift would also provide ongoing training on proper hygiene. This water, sanitation and hygiene intervention would significantly reduce life-threatening incidents of cholera and waterborne diseases common in the suburbs of Lomé, and remove a significant barrier for children to overcome poverty. Drill a 50 to 70-meter deep borehole and construct a well on church property. Install a solar pumping system with solar panels and batteries to move the water into a water tank and ensure distribution to various water points and facilities. Construct a 7-meter tall concrete stand on which a water tank will be placed. Conduct water analysis and test the installations. Train staff on operating and maintaining the borehole and water tank. Conduct hygiene training for the center’s children and families. Provide printed materials to center workers so they can offer ongoing training to children, families and community members. Upon receiving the funds, our church partner selected the best contractor from four bids for the borehole construction project. This contractor then procured and installed the necessary drilling equipment at the project site, excavating the hole and preparing the vat and trap for the drilling process. Two days after drilling began, water was discovered 57 meters below ground — just as expected. After sending the water to be analyzed by the National Institute of Hygiene, the tests revealed that it was ideal for human consumption. This was an answer to prayer. Now that a reliable source of clean water is available, construction has begun on a stand and tank for water storage, water delivery points, and hand-washing stations for the sponsored children at Baptiste Rehoboth, as well as their families and others in the community. While awaiting completion of these projects, our church partner has begun educating children and caregivers on good hygiene practices. Once completed, the borehole construction will change the lives of residents living in this community. Finding safe water will no longer be as time-consuming. Personal hygiene will improve and cases of waterborne diseases will decrease. Children will be healthier and miss less school. The cooking staff will be relieved from the hours spent fetching clean water for food preparation. As a result, they’ll have more time to cook nutritious meals for sponsored children. Local residents have been watching the highly visible construction project and looking forward to the day when it will be complete. With the 10-month construction process nearing its end, our church partner expects to have the water storage tank, plumbing, distribution points, and hand-washing stations ready to use by January 2016. By the time construction its finished, the staff, children, and caregivers will be trained and fully prepared to make the most of it. Knowing the clean water is almost available has already helped the children of Baptiste Rehoboth improve their health as they learn more about proper hygiene and sanitation practices. Once the child development center turns on its water tap, the children will be better prepared to rise above poverty as they develop physically, mentally, emotionally and spiritually. $22,633: Funded December 24, 2013. Completed Fall 2014. The water project will be implemented in Dera, Ethiopia. The city’s population is about 64,000 people. In the area surrounding the church where people can access water through this project, there will be about 3,600 people. 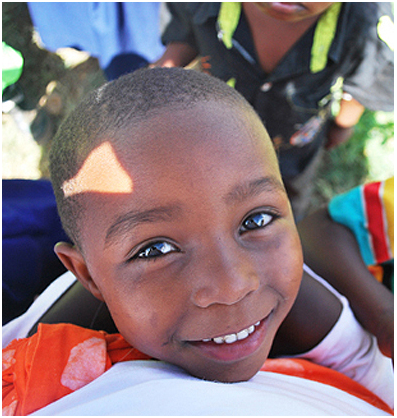 The Compassion project, implemented through the local church, serves about 210 children and their families directly. These families (about 1,050) will benefit most directly. The total cost of this water project is $22,633. FUNDING COMPLETE! Insufficient water supply becomes detrimental to the programmatic activities of registered children at ET-321. The church accesses this water from the community water points in the town.The project director (ET-321) indicated that the nearest water point to the child development center is found approximately at 800 meters (1/2 mile). Thus, the church pays USD 0.23 for 20 liters of water to those who transport the water by horse cart in order to fulfill the water needs at the child development center. Nevertheless, the church is not able to meet the required amount of water which is from 140 to 200 liters of water per day (i.e. seven to ten containers per day). As the project director indicated in July 2013, the registered children are not able to use the existing toilets efficiently and practice hand washing after defecation due to having not sufficient water supply at the child development center. They are also not able to take shower even after doing physical exercises though the area is known to be windy and dusty. Hence, the church is currently using this available water only to cook food items to service 208 registered children during tea break. Moreover, the community water points in the town are few in number and disproportional to the number of households in the community. The project director indicated that water is often times available for few days in a week. To cope up the challenge, people in the town reserve water with containers when water is available and use it scarcely. As a result, every water point has a long queue, so it takes more than an hour to fetch water. The project director also mentioned that this problem goes beyond the child development center and affects the community in which the registered children reside. In other words, lack of sufficient safe drinking water affects the lives of registered children and their caregivers in the community. For instance, women and children are the ones who spend much of their time in waiting a long queue and fetch water from community water points. As a result, the registered children are miss out on school time or study time. The magnitude of this problem has initiated the church (ET-321) to take the lead in installing a water pipe line from 800 m far off place. The project has bought 80 water pipelines and acquired legal permission from the local government to connect with the national water grid line which is passing across the area. Nevertheless, the church has not been able to go further to complete this activity due to financial constraints. This proposal is, therefore, designed to connect water pipeline from the national grid and to build three water points one at the child development center and the other two near to the community whereby registered children are located. The realization of this activity will enhance child participation rate, facilitate personal hygiene exercise and reduce the incidence of infectious diseases from registered children. $60,000: Funded Dec 24, 2011, Completed May 2012. Your recent support of a water project has literally revolutionized life in Olkolili, Tanzania. By bringing dependable, clean water to this small village for the first time, you have provided health and hope to hundreds of people and removed a significant barrier to overcoming multiple forms of poverty in their lives. Project Director Seraphine Mayila demonstrates how to water the garden. When the Pentecostal evangelism Fellowship of Africa (PeFA) olkolili Church established its Compassion-assisted child development center in May 2010, the needs of area children were quickly identified — all of them related to a lack of water. In this remote village of 2,300, where the nearest water sources were unprotected swamps and wells two-and-a-half miles away, children often helped their families spend many hours each day fetching water. In doing so, their educational opportunities were limited. The filthy water brought suffering to many in the village via waterborne diseases, worms and skin infections. Sanitation was virtually unheard of. This resulted in even more risk of sickness, especially among children, due to improper disposal of human waste and the inability to clean themselves or their food. The food supply, too, was limited without a dependable water source nearby, hindering adequate physical growth among children. When you answered the call to share God’s love through your generous gift, you set in motion a carefully planned water project. This process included obtaining permits and paying experts to locate a dependable water source. Contractors then designed and drilled a borehole well and installed two reservoir water tanks, a generator, a pump, three water taps and plumbing that deliver water to bathrooms and kitchen facilities. The project and follow-up testing came in on budget and, according to the region’s district water engineer, the well can supply clean, safe water to twice the intended beneficiaries. People from every part of olkolili were involved in this project, which took place February through May 2012. They are unified in gratitude for your investment in bringing running water to the village for the first time. The residents are committed to ensuring the well and its systems are protected, maintained and kept accessible to the intended beneficiaries. Thanks to your generosity, now the child development center is able to share clean water with the entire community, help bring down the rates of waterborne disease and raise awareness of the need for sanitation. All 250 registered children and at least one adult caregiver for each child, as well as another 80 children who attend the church regularly, access the water tap. In fact, this tally is conservative – most families are not limited to one child and one adult. the full effect of this well is likely felt by everyone in the village. one child said, “We are now in a town like those we read about in books!” The Compassion tanzania staff reports the children now feel life is worth living. Center workers say the overall learning environment is improved and encourages the children to attend the Compassion program. Now that they have adequate water supply, the center’s staff members can teach registered children not only about the importance of using water in restrooms, washing their hands with soap and water, and safely preparing food, but they also enable the children to practice these procedures while at the centers. Seraphine Mayila, project director of the PeFA olkolili student Center, says the water system already makes a major difference on a number of levels. Water from the well is used to irrigate vegetable and tomato crops tended by registered children. these crops are used to feed the children during regular center activities, and the surplus is sold in the community. the center also makes water available to the entire community for a small fee. the funds raised by these income-generating activities are invested in much-needed classroom items and playground equipment at the center. Another parent, 28-year-old Neema Julius, shares this optimism: “the bible saying ‘whoever does not work should not eat’ has become very relevant to me. In the future, both the children and the youth in the community will grow into hardworking men and women who are sensitive about vegetable planting and selling them to people. “I am now full of hope that the family health conditions and income will improve, and I believe that domestic needs will be handled,” Neema says. $59,276: Funded December 24, 2012. Completed Fall 2013. BEFORE: The beneficiaries of our 2012 campaign are 3000 residents of Kitui County Mwingi District Northeast of Narobi Kenya, which includes 232 children who are registered in Compassions Kiio GFCB Child Development Center. Most of the adults in this rural community work as subsistence farmers or petty traders earning approximately $25 per month. Most families here depended on rain water runoff, and water from ponds and streams. In times of drought, water is gathered from hand-dug wells, which means residents must awake at 3 a.m. and wait in line or hours for water before the supply runs out. The Compassion center spends much of its limited budget purchasing water from these unreliable sources and subsequently encounters high medical expenses treating children who fall ill from contaminated water. A competent and reputable contractor will be engaged and hired in drilling the borehole and the church partner is committed to ensure the activity is conducted and completed as agreed. Water infrustructure at the church compound will be constructed to supply water to various places including the wash rooms for sanitation. The activity will immediately start after the funds are available. A total of $62,151 USD is needed for the successful completion of the activity. The local church has prepared to locally contribute USD $2,875. This proposal seeks to raise $59,276. Provide 232 children, 12 staff, and approximately 2000 residents of Kiio with access to safe, affordable drinking water and sanitation education. Minimize the spread of disease and improve hygiene standards, not only at the Compassion center but in the community as a whole. Enable the partnering church to generate income by selling the water at approximately 50% less than its local market value for the purpose of making the water well self-sustainable (financing upkeep and repairs) and ensuring that the water supply will be available for generations to come. This microenterprise will also serve to educate beneficiaries about the value of clean water and prevent waste and misuse. Drilling a well and installing a water filtration plant in Kiio will sove both water and health problems in the community. Supporting a water project at Kiio GFCB Student Center will provide equipment, maintenance, and training for the partner church. The water plant will have the capacity to eliminate pollutants and bacteria from water sources. A water purification system includes: Equipment, drilling, installation, infrastructure to keep and house the water purification system, and training and technical support. AFTER: Through the construction of a borehole well near the Kiio GFCB Child Development Center, you have provided access to safe water for 232 Compassion-assisted children, their families, and more than 2,000 community members. Thank you! 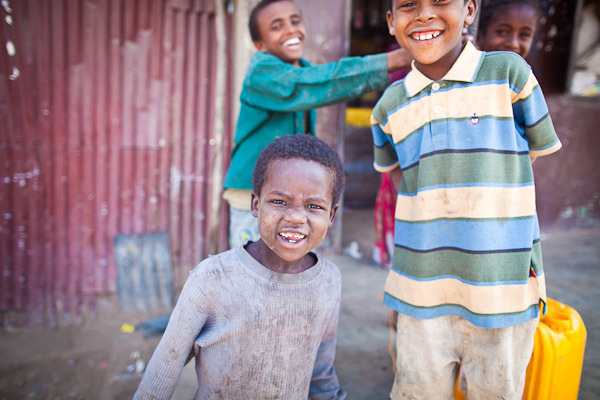 Your support has empowered a struggling area with a valuable resource: safe drinking water. This intervention was completed with great success and has resulted in healthier lives, stronger economies and brighter futures for Kiio’s children. Thanks to your donations, easy access to safe drinking water has transformed an entire community. Children who once suffered from diarrhea and intestinal infections are now healthy, and the community is no longer burdened by the expense of medical care to treat waterborne diseases. Likewise, mothers who once walked for hours to collect unsafe water now have access to safe water just minutes from their homes. This simple convenience has drastically changed their day-to­ day lives. One mother who was affected by this intervention is 28-year-old Elizabeth Mwikali Nzoka. She used to wake up at 4 a.m. during the dry season to walk 3 miles to collect water for her three children. It was a burden she had to bear, but thanks to you it is no longer. Involving local authorities in mobilizing and educating the community about the water project. Testing and analyzing the water to determine that it is fit for human consumption . Together, these accomplishments mean 232 Compassion-assisted children, their families and 2,000 community members now have easy access to safe water. They no longer have to drink water that makes them sick, and they no longer have to face the dangers of a long walk to reach unreliable water sources. Now they are free to enjoy happier, healthier lives. The project was scheduled to be implemented within nine months -this included three months for a hydro-geological survey and environmental impact assessment, three to six months for drilling and civil works, and at least two months for testing. However, the first phase -the survey and assessment -took three months longer than expected. Though Compassion Kenya attempted to make up this time, and though drilling the well took just one month, the civil works and testing phase could not be completed in the remaining two months. The project timeline was extended by four months, moving the completion date to April 2014. This allowed sufficient time for completing the well and proper testing. A major outcome sought through this project was to reduce the prevalence of health and hygiene issues in children related to drinking contaminated water. In the past, considerable funds were spent treating children with diarrhea. We are happy to report that the project anticipates the new access to safe water will go a long way toward reducing these infections by more than 80 percent. Families and the Compassion center will no longer face expensive medical bills from waterborne diseases. Other cost-savings will come from no longer having to purchase water to use for center activities. This new access to clean water also led to another positive financial outcome. 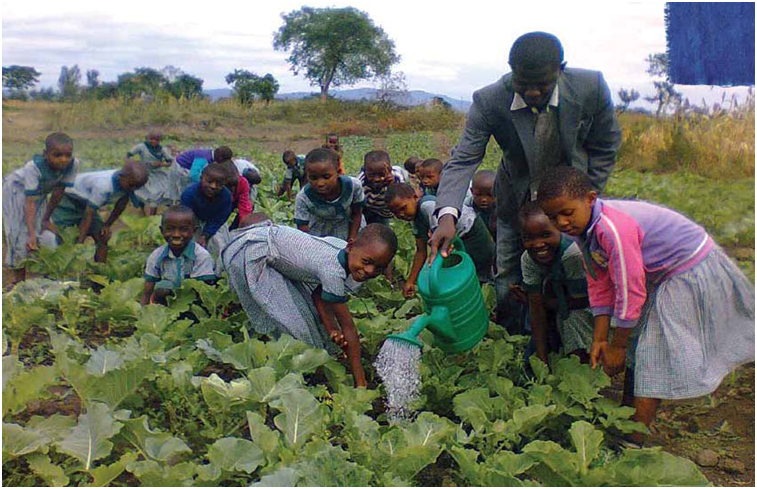 The local church is in the process of acquiring land for irrigation farming. Thanks to access to water, the church will be able to grow vegetables year round–particularly, vegetables that are scarce in the village. 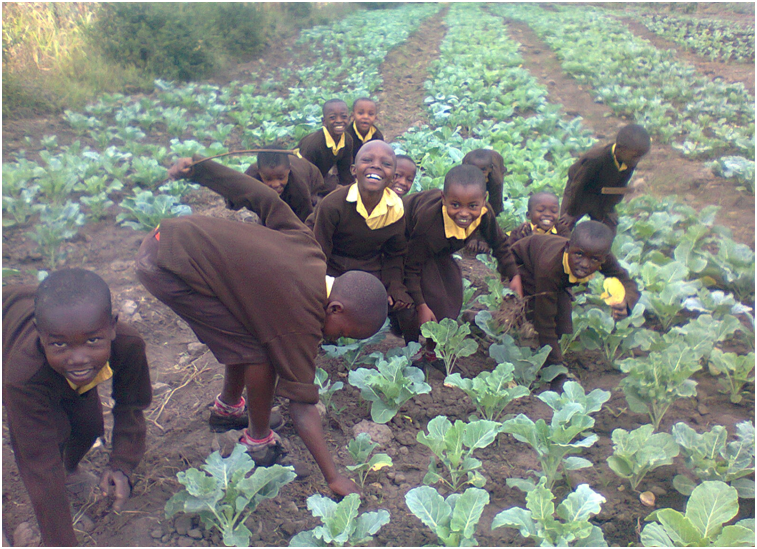 This horticultural project also will er ate educational opportunities for registered children as they learn about farming and irrigation methods. In addition to economic progress, the project also has raised the local church’s profile. Its involvement was a sign of solidarity to families who have benefited from access to safe water In light of the positive response from the community, the church plans to increase its involvement in future development projects. Heartfelt thanks to all of our donors, for demonstrating Christ’s love in such a tangible way by funding this important project. Ensuring that children and their families have access to safe water is one of the most critical components in Compassion’s holistic approach to releasing children from poverty, and your gift has ensured that the children of Kiio are much healthier and safer. We appreciate your ongoing partnership as we continue to care for children in Kenya and around the world. “Right now I am very happy because I have easy access to safe water from the church,” Elizabeth says. “For me, this is a miracle. I am confident that the lives of my children will be very different from mine. When I was younger, we always went to school late and at times even missed school completely because we had to collect water before going to school. My children will not go through that because we can easily collect water now. Conducting a hydrological survey to identify the most appropriate site for the borehole well and obtaining permission from the landowner to drill on the property. Testing and analyzing the water to determine that it is fit for human consumption .Equipping the borehole well with a pump. Digging trenches and laying more than half a mile of pipe.Together, these accomplishments mean 232 Compassion-assisted children, their families, and 2,000 community members now have easy access to safe water. They no longer have to drink water that makes them sick, and they no longer have to face the dangers of a long walk to reach unreliable water sources. Now they are free to enjoy happier, healthier lives. Together, these accomplishments mean 232 Compassion-assisted children, their families, and 2,000 community members now have easy access to safe water. They no longer have to drink water that makes them sick, and they no longer have to face the dangers of a long walk to reach unreliable water sources. They are now free to enjoy happier, healthier lives. God bless you!